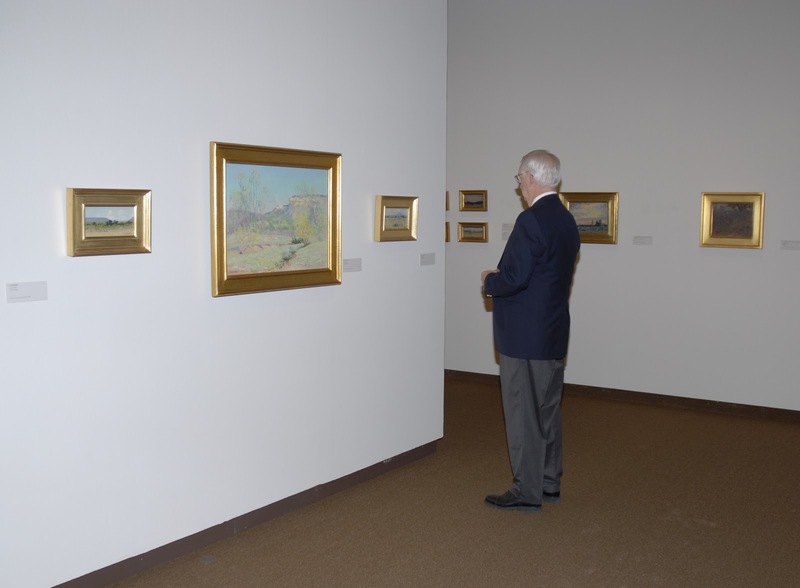 (TYLER, TX) November 29, 2010 – Discover the vibrant color and textures of the Texas landscape during a free First Friday Art Tour this week, December 3, beginning at 11 a.m. at the Tyler Museum of Art. The tour will lead visitors through L.O. Griffith: Painting the Texas Landscape, an exhibition of over 70 works by early Texas artist L.O. (Louis Oscar) Griffith, artworks that have not been featured in a major exhibition in over 70 years. The tour is free, but entrance fees apply. The exhibition is free for TMA Members and children ages 12 and under, $7 for adults, and $5 for students and seniors. Following the tour, a special homemade menu selection of King Ranch Chicken Casserole will be offered in the Museum Café. First Friday Tour participants will be introduced to a selection of works within the exhibition which depict a landscape that was endlessly inspiring to the artist, who captured the rough character of the West Texas landscape with a soft hand and delicate rendering. Once primarily recognized as an American Impressionist, Griffith emerges before us as one of the early Texas artists whose eye was captivated by the striking, unparalleled color and texture of the state’s terrain. This tour will be one of the last remaining formal opportunities to see the exhibition, which closes Sunday, January 2, 2011. Also on view is Form & Substance: The Art of George Tobolowsky, which is free to the public. This exhibition has been extended until Sunday, December 5. L.O. Griffith: Painting the Texas Landscape is organized by Tyler Museum of Art. The exhibition is guest curated by Rebecca Lawton. Signature Sponsors are Mr. and Mrs. Harold Cameron. Underwriters are Dr. Thomas and Debra Bochow. Patrons are Ken and Debra Hamlett. Contributors are Mary Jon and J. P. Bryan Foundation, Kathryn and Morris Matson, and Target. Collectors’ Circle Sponsors are Mr. and Mrs. John Glass, Jr.; A.W. Riter, Jr. Family Foundation; Robert M. Rogers Foundation; and Dr. and Mrs. Frank Ward. Corporate Sponsor is Genecov Group.